A client of mine told me today that it took him a few months to get samples from a new vendor in China. The only reasons I can think of are that either the vendor was super busy and not interested in doing a sample order for someone who is not yet a customer; or the vendor was subcontracting the sample order. In either case it is not a good sign that samples would have taken so long. 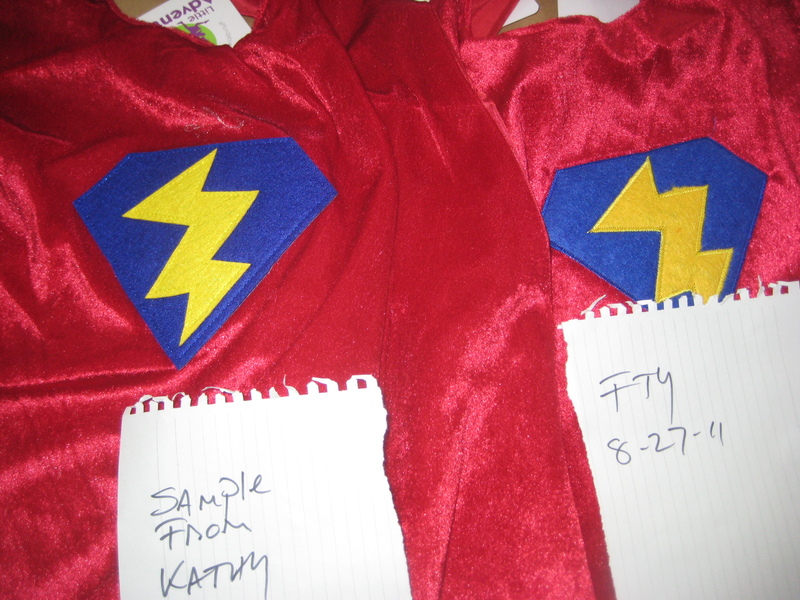 Most samples take a couple weeks. A long sample order would be a month. 3 months for a sample screams unorganized. When I negotiated with this vendor a few months ago, I found them very responsive. And my client said that the quality of the samples he has received has been good. The only problem is the sample lead time. In a situation like this I think you have to proceed carefully. If my client has it in his budget, he should have someone go inspect the factory and talk to the manger to find out why the samples have taken so long. A visit to the factory would probably answer a lot of questions. If my client does not have a factory audit in his budget then I think I would be very reluctant to give this vendor an order, the good quality of the samples notwithstanding. I tend to look at sample orders as not only for testing the quality of a product but also for testing a vendor’s responsiveness and reliability. And I like to tell people that if they have a lot of trouble with a sample order, then imagine how difficult it will be when they have a production order shipping against a cancellation date. That is when China sourcing threatens your business. A last thought: I have been in this situation before. You have a vendor that delivers you good quality samples within your target cost. Or you meet a vendor at a trade show with a great product. But they are unreliable in other ways e.g. not showing a particularly friendly or cooperative attitude when solving problems, not doing things when they have promised. As reluctant as you are you really need to move on. Because as I said above if the relationship has problems early on, those problems will only get worse later. A friend of mine reached out to me recently asking me to help him apply for China patents for a new product. Apparently someone had approached him because he used to work for a FORTUNE 500 company in China and wanted to enlist his expertise. So my friend came to me, thinking IP protection was the place to start. I told him what I tell a lot of people, namely if you are going to be paranoid about losing your IP in China then you shouldn’t be doing business over there in the first place. It is simply one of the endemic risks of doing business there, much as mosquitoes are one of the endemic risks when you go camping. My friend left China in 1997 and since his return to the US he has worked in Silicon Valley, doing non China-related stuff. I think he has forgotten that when you do business in China you cannot expect Western principles of transparency, accountability and integrity to apply there, because they often do not. In other words, just because you apply for and are granted a China patent does not mean that you will be home-free to manufacture your product in China without problems. Someone will always come up with something similar to your product and exploit a loophole in the Chinese patent application (which is a complicated and time consuming process) and there would be little you could do about it, short of costly international litigation. Are you going to be able or willing to do this? If you are a small business with a limited budget the answer is no. I gave my friend the advice which I always give to others, namely to focus on securing IP in the country where you will be selling your product so as to protect your own market. If you have registered trademark and patent here in the US no one can sell your product but you. If you want to take your designs to China then don’t be overly concerned about IP and take refuge in the fact that unscrupulous individuals in China who are bent on appropriating someone else’s IP are usually focused on bigger companies where the payoff is much larger. When you grow that is the time to start worrying about IP and taking the necessary steps in China to protect yourself such as Trademark protection. I have written a lot on this subject. Here are some other posts you will find useful. Clear and frequent communication. The author of the article details how some of the poor prototypes he ordered early on were not as much the fault of the Chinese factory as they were the fault of his company who often provided insufficient product details. This rings very true. In fact, most small companies that source in China tend to omit important product details, simply because they do not understand their own products and/or are assuming that vendors will fill in those gaps on their own. As I often advise people, never make assumptions when you are doing business in China. Tell your vendor everything. And regard communication with your vendor as perhaps the most important aspect of your relationship, equally as important as cost and quality. Have someone on your team who understands Chinese. The author hired a translator for their meetings in China. However, when 20 minute conversations in Chinese on technical and legal issues were being reduced to 30 second summaries they decided that far too important content was not being delivered to them. They saw the need for a company employee who understood Chinese. I have talked to a few people lately who told me they are planning a first trip to China. Although I have written about first trips to China before these posts are more focused on first-time vendor visits and I have really not written a post about first-time China travel for the general traveler. Accordingly, over the next two posts I will talk about travelling to China. The flight to China from overseas is lengthy and can be exhausting. For example, it takes 12-13 hrs from San Francisco to Shanghai and 15-16 hrs from NY to Shanghai. So do yourself a favor and try to book a non-stop flight. If you stopover in Tokyo, for example, you will have to get off the plane, go through transit security and then get back on the plane. This is not something you look forward to after having been on a plane for ten hours. The best carriers are Cathay Pacific, China Eastern, China Airlines. In fact, you may get better service flying the Chinese airlines than the other major carriers. A case in point: once I was on a Japan Airlines flight that was forced to wait on the tarmac at the airport in Guangzhou for four hours during a thunderstorm. The pilot complained that some of the Chinese airlines had been allowed to take off but the Japanese carrier was made to wait. After that experience, when travelling to China from Japan I always made sure to book China Eastern. Hotels in China age fast. Travelling to Guangzhou for the Canton Fair, I used to stay at the Ramada Plaza. Unlike the Ramada chain in the US which is tacky, if nothing else, the Ramada hotels in China are first class, five star hotels. And the Ramada Guangzhou was no exception. It was a beautiful hotel, first class all the way when it opened in 2007 and I looked forward to staying there over the subsequent 3-4 years whenever I traveled to Guangzhou. However, after a few years I started to notice that the hotel was beginning to look run down; tiles were coming off the floor, the gym which used to be open 24 hrs a day was now open just a few hrs a day, chain smoking locals seemed to outnumber sophisticated international buyers in the lobby etc etc. The transformation was noticeable. So see how old the hotel is. If it is more than 10 years old there are likely issues.. The newer the better. Opt for a Western Chain, Sheraton, Hyatt, Holiday Inn, These hotels are much nicer than their American equivalents. They are all western managed and the services tend to be extraordinary. You will also profit from the use of an airport shuttle. Arriving in China for the first time after a long flight can be overwhelming and you will appreciate the airport shuttle. Don’t overlook this. Regarding Chinese hotels you will not get nearly as nice service in a Chinese managed hotel, the exception being the historical Chinese hotels e.g. Peace Hotel in Shanghai, Peking Hotel in Beijing. Finally, one more tip is to choose a hotel that is within walking distance to a metro or bus. In this way, you will not have to rely on taxis to get around. The metros in China’s big cities are very user-friendly and have announcements in English. .
Once you have your itinerary planned and tickets and hotel booked you need to go to the Chinese Consulate or Embassy in your area and apply for a visa. There are many categories of Visa so you have to make sure you apply for the appropriate category. Citizens from certain countries are exempt from visa requirements so be sure to check all this carefully. Visas are valid only for a limited time so make sure you have looked at your schedule carefully. A visa approval generally takes no more than a week and there is an expedited service. You should also run your itinerary by a local travel agent. Don’t make the mistake of going to China not being able to speak some Chinese. If you are planning this trip well in advance, as you should, your preparations should include a course in Chinese, whether that is online or at your local adult school. Your trip will be so much more enjoyable if you are able to communicate, even at a very rudimentary level, with your Chinese hosts. And you will probably enjoy better service all around if you attempt to speak some Chinese. At the very least learn how to say thank you and perhaps some weather terms. And if you really want to impress your hosts learn how to write a few characters. An entrepreneur from Singapore, Mark, has been emailing me over the last two months with an idea for a new product. This is a piece of furniture and I think would do very well in the industry he has targeted it for, the hospitality industry. However, the product design is so complex that I have advised him this would only work if he simplified his design, not only to reduce the burden on factories for sourcing parts and contracting out parts of the manufacturing, but also to minimize shipping and end-user assembly. I told him that only a large company with extensive manufacturing and distribution resources could pull of the product as it is now. He agreed and has spent the last month trying to simplify his design. The other day though he emailed me and told me the project is on hold because he has realized there are too many issues. He said he is focusing his time now on an apparel project and is headed over to China this week. I was glad to hear this and think this is a good lesson for entrepreneurs. Building a product in China and then getting that product to the US and in the stores here are two different things. As I told Mark, all it takes is one defective rivet on a unit bought here in the US and he may have a very expensive return on his hands. This is after all a big piece of furniture. So he had better wait until he has 100% confidence in his product or until he has the means to process returns at minimal cost to himself. And these are the hallmarks of big companies that profit from economies of scale. Not small ones. Just look at IKEA and how easily they process returns. You can return anything to them and they still make money. Small business, on the other hand, can lose a lot of money if they don’t handle product sourcing correctly. But as Mark said he has not given up. He is just going to focus on something else for the time being. Who knows but maybe the apparel project will go so well that he will be able financially to revisit the furniture project. Or just stepping away for a while may lead him to look back at the furniture product to see ways it can be improved and made feasible, what he was not able to do when thinking about it night and day. Last month someone emailed me asking me if I could help her source a promotional product in China. This lady runs a small non-profit here in the SF Bay Area. She said she had contacted some vendors and agents on alibaba but, having never done business overseas, was nervous about moving forward with them. I told her I could help her and quoted my fee, which is not substantial. She seemed to waiver and then told me that the Chinese agents had quoted her a lower fee. I generally don’t advise using Chinese sourcing companies for reasons I have written about here, and I told her so. After a couple weeks of going back and forth and answering her questions as best I could I finally decided to give her the name of very reputable French sourcing company in China, for I had come to the realization that she was very reluctant to spend money on this project. The French company charges less than the Chinese company and although they are staffed with locals they are owned and managed by a French national with many years’ experience in China. They have a good reputation, are responsive and I think their sourcing fee is very reasonable, although things can get expensive, in terms of the costs associated with follow up, once they locate a factory for you. About a month passed and the lady emailed me telling me she had had some discussions with the French company and was “weighing her options.” She asked me to advise her. I told her that with her QTYs and target costs, neither of which is substantial, she is going to need all the help she can get in finding a vendor in China who is willing to take her order. And if she is serious about doing this she needs to see that she will have to invest some money. In spite of the seductively low costs one sees advertised on B2B sites like alibaba and Global Sourcing, sourcing overseas requires serious investment and demands a serious, long-term commitment. In other words if you want to source in China, but are not willing to spend the time and money to do so, my advice is simple: forget it. I was watching an interesting program on NHK, the Japanese network, the other night. The program, broadcast weekly, is entitled “Professionals” and shows people engaged in various professions in Japan, everyone from, say, a violinist with the NHK Philharmonic to a waiter in a non-descript udon restaurant. The installment the other night featured a well-known female civil engineer, Reiko Abe, who has faced considerable discrimination in Japan because she works in a male-dominated profession, tunnel engineering. Her solution to the problem is to work for a Tokyo based project management firm that stations her abroad, in countries in need of expertise from Japan e.g. India and Indonesia. Two of the projects she has worked on in recent years are the subway system in Jakarta and the bullet train in India. Denied upward mobility in Japan, she is now regarded as one of the top tunnel engineers in the world. It was an interesting program not only because it shows the depths of discrimination that women still face in Japan but also for one revealing line Ms. Abe uttered when asked how to explain her success in a country like Indonesia, where building standards and a sometimes feudal mentality among workers are barriers to modernization. Abe said the key to her success on overseas projects is that she always “throws away Japan before going abroad.” I thought that was an interesting way to put it, in other words, that Ms. Abe gives her national identity all the value of an empty can when she is working abroad. But this is what she does when she goes overseas. And this is why she is in such demand now for high-profile international projects. In a foreign country, she obviously knows how to adapt and get things done. And this is what you have to do when you do business in China. Adapt. You cannot be weighed down by your own customs and flummoxed by unfamiliarity. A case in point is former colleague of mine. Whenever she visited China she would insist on being driven back to her hotel everytime she had to use the bathroom. She just refused to use the bathroom in the office or factory. The exact opposite of Ms. Abe. Needless to say, the Chinese did not enjoy working with her and her projects never went smoothly. So the next time you are about to get on a plane to China and you see the bin where you have to dispose of all the things that are prohibited on board, make an additional imaginary bin in your mind that says Items Prohibited Beyond This Point: Your Nationality. Given the rise of women entrepreneurship in China in recent years – over 50% of all new businesses on taobao, China’s main e-commerce platform are started by women – I thought it would be interesting to interview a friend of mine who is one of these entrepreneurs. Ms. Fu first got her start in the basket business about 15 years ago and now runs a successful trading company in Shenzhen. After over a decade of exporting Chinese products globally, she is just starting to import products from overseas into China, one indication that China’s economic model is changing. EAC: How did you get started in Business? Ms. Fu: I was interested in doing business from an early age. It seemed natural to start a company on my own. EAC: Why did you decide to start with baskets? Ms. Fu: I always liked baskets, maybe because I grew up in an area where there was a lot of basket production, in South China. But I thought that would be a good place to start. Now, however, the basket business has slowed down considerably and it is very hard to sell baskets to US buyers now. So I am looking to get into other businesses, including importing products from the US into China. EAC: Did you have a lot of problems at first because you are a woman ? Ms. Fu: No. There is a famous saying in Chinese, that women are the half of the sky. Quite honestly I did not feel any major barriers as a woman trying to start her first company. EAC: Do you feel any discrimination now when you try to do business given your success as a woman entrepreneur ? I mean do you sense that some men might be envious or skeptical of your success ? Ms. Fu: No. I know there is discrimination against women in China but I have not really experienced this. EAC: Do you feel that business world in China is still dominated by men ? Or are there quite a lot of female entrepreneurs such as yourself doing business in China nowadays ? Ms. Fu: Not just in China, but women all over the world are becoming more and more independent. And of course, more and more women would like to set up their own companies. Although many companies are still run by men, in China and in the US. I think this is changing. EAC: Do you feel there are any advantages to being a female entrepreneur in China now ? Ms. Fu: Not really. China is pretty open these days and Government policies tend to reflect a certain equality. Any advantages may be peculiar to a certain company. EAC: What are the main obstacles you face now as you try to grow your business ? Ms. Fu: The main obstacle is balancing work and family life. And I have to think about other opportunities if one of my businesses is not going well. I am constantly thinking what to do next. EAC How is the state of China’s economy nowadays? Is business slowing down or are things pretty much as normal ? Ms. Fu Life in China just gets better and better. There are just so many more opportunities now than there used to be. And much of the world looks to China now for opportunity. Good question. It is a good theory but in practice I don’t think works, at least not for most of the small businesses I assist. And for this reason: Most companies that source in China have hard orders they have to fulfill and there are expectations from their customers, usually big box retailers, as far as delivery dates, not to mention quality standards and pricing. So most small companies do not have the luxury of time nor the resources to try out hard orders on as yet untested suppliers. They usually have to designate one supplier and hope things go well. If they don’t they salvage what they can and move on to the next supplier.The one exception would be if I had a new product that I was marketing online only, and the scope of my business was small, Then I might try as you suggest. In this case, I would not have firm delivery dates to meet and could proceed cautiously, maybe trying out multiple suppliers at the same time to see who might be a good long term partner for me. I will say that I have worked with companies that have resorted to the practice of splitting large orders between suppliers but usually those suppliers are already verified suppliers. And usually there are two reasons they do this. 1.) They have a big order and one supplier alone cannot meet the delivery dates. Most of the time it is for this reason. 2.) They have had a problem with one of the suppliers in the past e.g. usually quality or late delivery and are nervous about giving a big order to this supplier. Dividing a production order among 2-3 suppliers ensures that they will have at least some good product to pass on to their customers in a timely manner. I would add that I have always found it very risky to divide production between suppliers. The reason is this: Let’s say you have an order for 50,000 promotional shirts for a large US retailer. This retailer has very strict compliance guidelines. 50% of the order you do with Vendor A and the other half with vendor B. When the shirts come in you find that the shirts from Vendor A are a slightly different color than the shirts from Vendor B and the large sizes from Vendor A’s are also running small. The result is that your customer is not happy with the wide variance in quality, issues charge backs and cancels all future orders. In short variation in production lots from just one vendor can be a major challenge depending on the product. So when you have more than one vendor producing the same product it becomes a major challenge to maintain product standards and consistency. I once worked for a company the owner of which just did not like to deal with trading companies. If you mentioned the word “trading co.” he would just groan. Still he used them occasionally maybe because he really liked a certain product and he had no way to source the product from the factory directly. But if you were a trading co that was one big strike against you and you really had to have an exceptional sales pitch or product to get an order from him. And that has always been my way of thinking as well. As a rule I generally don’t like to use trading companies because often they have no control over the factory. If you have a design driven product with a lot of requirements it is imperative that you work directly with the factory because that is the only way you can control quality in production. You simply cannot rely on intermediaries – sometimes individuals who have very little on site factory or product experience – to manage your relationship and product standards with a third party vendor. Trading companies just seem very ineffective to me and they always have. But as with my former boss so with me. Sometimes your only option is a trading co. Last spring I went to the Canton Fair on behalf of a client. I came across a booth that had the nicest and widest selection of product in my client’s category (home décor). They seemed very responsive and professional. The owner was very nice. I have been in a lot of booths at the Canton Fair over the years and have met a lot of vendors and I liked the owner of this company. But they were a trading co. I had two choices, ignore them because they were a trading company or give them the benefit of the doubt get their info and pass this along to my customer with the caveat that for her product this might work only if she were prepared to monitor the production in China (this is the only way sometimes to ensure the quality of your orders factory or trading co). I decided to pass on the info to her simply because I knew the vendor had product my client would be interested in. I would add that my client has been to China several times and she herself has worked with vendors and trading companies there over the years. As long as I gave her full disclosure and my advice she would know what was involved and she would then be in a good position to make her own decision.